Nav Coin continues to earn its place in the market as the currency goes from strength to strength. In 2016, they released the innovative NAVTech private payment platform and NAV became the 3rd most profitable cryptocurrency of the year. 2017 is already another record year for Nav Coin and they round out Q1 with a bundle of great software releases, a fresh new look and a strong project roadmap filled with premium projects. This is the big ticket item for the Q1 releases. Nav Coin Core 4.0.0 is a complete wallet rebuild that has been forked from Bitcoin 0.13. 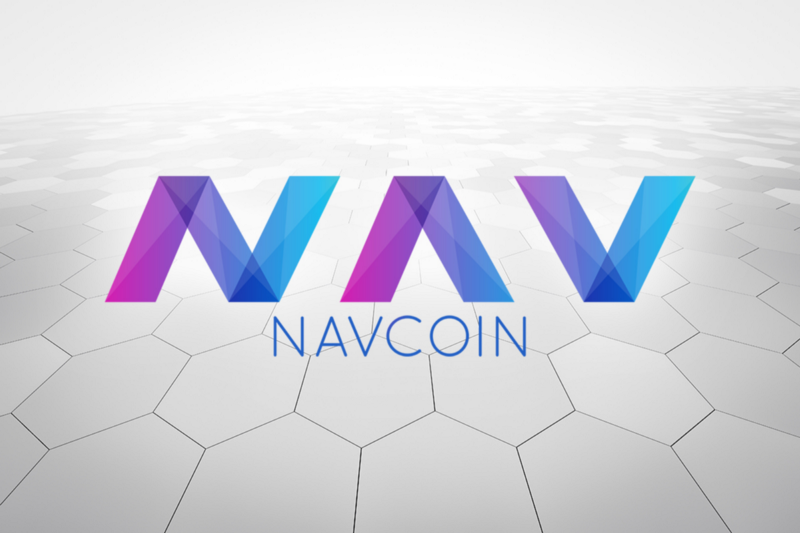 It has modernised Nav Coin’s core with lots of new features, and provides a great base for the Nav Coin Development Team to continue with the 2017 Roadmap. The upgrade gives Nav Coin Core all the latest API commands which Bitcoin implements. This makes it compatible with more software and services than ever before. This includes the API’s necessary for Nav Coin to start their Copay fork which will end with a beautiful set of Mobile and Web Wallets that are also capable of sending NAVTech Private Payments. The new wallet focuses on simplicity. A lot of the complicated, unnecessary features have been removed and it has been streamlined with an installer. There is also now a graphical way to set up & manage the NAVTech server list which was previously managed through the configuration file. First Bitcoin 0.13-based fork with POS consensus algorithm. Faster and more robust syncing between nodes. New GUI with cleaner design. Nav Coin have developed the NavPi — a Raspberry Pi that runs the latest version of Nav Coin Core. The Raspberry Pi is an energy efficient and convenient way to earn your Proof of Stake rewards without having your laptop or desktop constantly on. You plug it in, send it your coins, and it earns you money 24 hours a day — while only using minuscule amounts of power. Mining Nav Coin has never been simpler or more cost effective. It comes with a web interface which can be accessed from your network, and will allow you to send & receive NAV, encrypt your wallet, and stake coins — all the functionality you get from a full node wallet. You can even send NAVTech private payments directly from the NavPi! You’ll earn a 5% return on the amount of NAV you have. Includes the latest version of Nav Coin 4.0.0 — which has been updated with all the latest features in Bitcoin 0.13. NAVTech is Nav Coin’s private payment platform which is decentralised, open source and and completely anonymous. Transactions are encrypted and broadcast over our secondary blockchain called the Subchain — which provides full anonymity. Since NAVTech was decentralised in December, the Development Team have been refining the code and increasing test coverage. This updated software has been tested and deployed on the official NAVTech servers and will be distributed to the public on the 31st of March. These improvements pave the way for Nav Coin’s ultimate goal of combining the Nav Coin & Subchain blockchains along with the NAVTech processing scripts into the Multi-chain NAVTech Wallet as seen on the project roadmap. When this Multi-Chain NAVTech Wallet is completed later this year, running a NAVTech node will be as easy as checking a box inside your Nav Coin wallet and you will be able to earn extra rewards for participating in the Private Payment Network. Nav Coin have also released a new version of the Nav Coin website today, which aims to support their wider marketing activities going forward. The main changes have been updating the visuals, and tidying the content to be more user friendly & easier to understand. There is still a long list of refinements, which will be rolled out over the coming months — including new content, how-to guides, and more regular posts from the team. But this relaunch will help give the brand momentum to move forward with. A standout new feature of the website is the addition of instant Credit Card purchasing of NAV using Changelly’s Instant Exchange Service. It’s been a busy few months for Nav Coin, but their hard work is paying off. With some new hires in the team, and lots of new energy, Nav Coin is kicking things up a notch as they move onto some really exciting projects which will really continue to set them apart. To make sure you stay in the loop, by getting involved in the Nav Coin community channels (Slack and Telegram), and follow them on Twitter & Facebook. 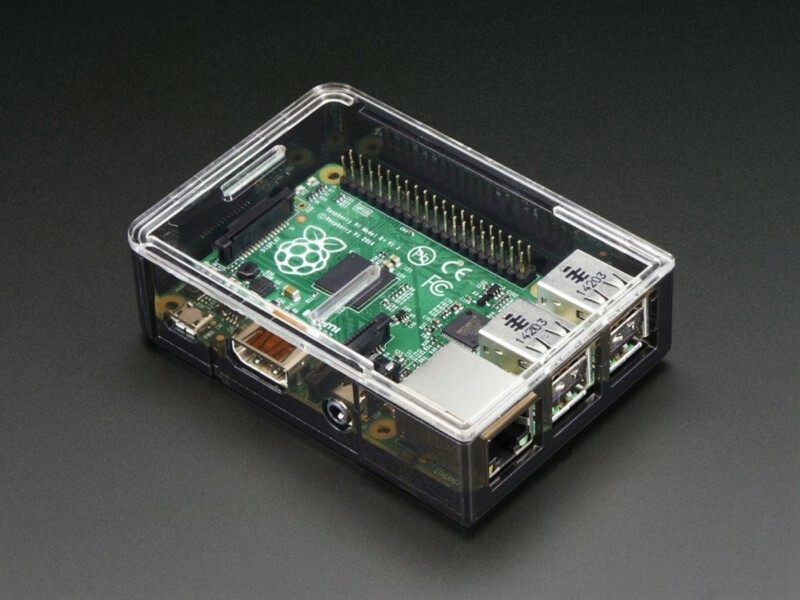 In this tutorial is shown how to setup a Nav Coin Raspberry Pi Stakebox. It really has been a massive week for Nav Coin this week. We have seen the release of our 4.0.0 Core wallet, NAVTech 1.1 and the NavPi from the development team. Alongside our great new website, Q1 press release and the social media competition from by our awesome new marketing team. We have moved a lot of projects from in progress to completed and have also started on our next batch of projects. Victor is going to look at improving our NavPi, streamlining the interface and improving performance. This means a full redevelopment using Angular2 served by NodeJS. Guy is comparing supplier options for sourcing and supplying NAV branded NavPi units on the Nav Coin Store. These will ship with the image pre-loaded onto the memory card so all you will need to do is plug them in and send the coins. Craig is busy preparing to present his talk “Exploring Private Cryptocurrencies” for the Bloktex conference this weekend in Kuala Lumpur. Once he gets back from KL, he will begin to work rebuilding the Subchain aligning it with the new core code base. This will mean restarting that blockchain and is a vital step toward integrating the Subchain into the Nav Coin wallet. Kieren has been largely focused on helping with the Q1 release schedule since being onboarded. He has been a huge help with our new website, the Q1 press releases and also our very successful social media campaign. 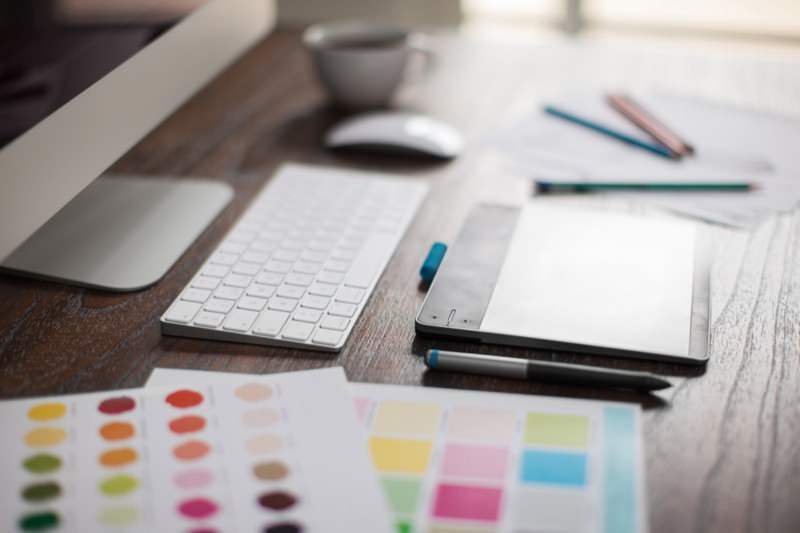 With that pressure off, the marketing team can now refocus on the wider branding message and marketing strategy. 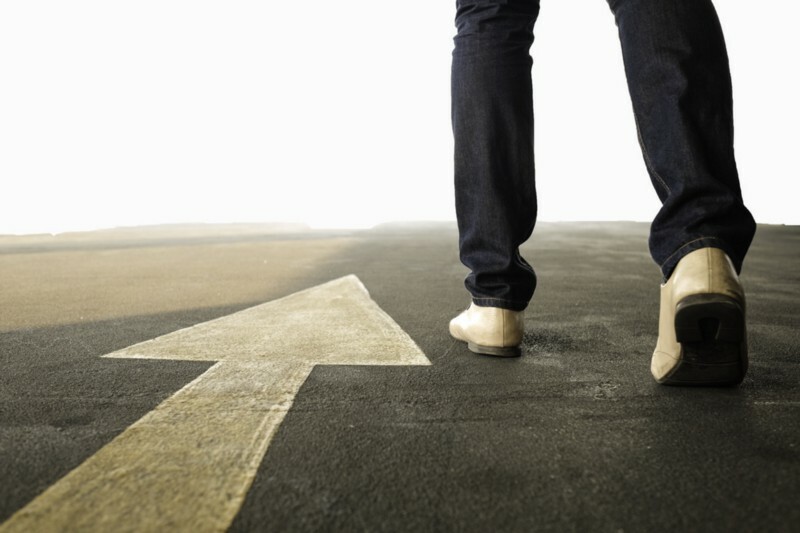 The first step is to formalise a marketing roadmap and present our marketing plan. We may have been a bit quieter than usual this week online due to the team having a couple days of hard earned rest after our successful (but very demanding) Q1 launch. As you can see, we still have made a lot of progress and as always, the wheels keep turning at Nav Coin HQ. We have a lot of great projects in the works and lots of amazing things lined up for the rest of the year. So stick around and come on this journey with us. Even with Craig away at the Bloktex conference, there’s been a lot going on behind the scenes. We’ve made available a revised version of our wallets, which provides fixes to some of the network issues we’ve had in the last week. Every 4.x user is required to update to this version to attach its node to the right chain. Update of 3.x clients is not strictly required but highly recommended. Close NavCoin Core if it is open. 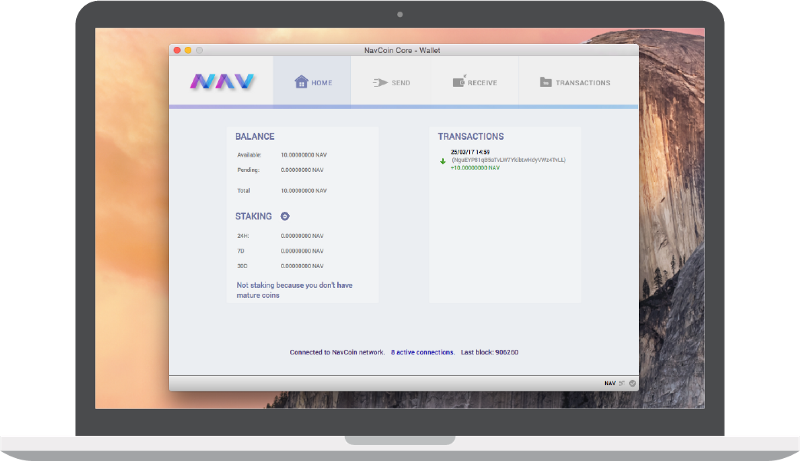 Download new version from http://www.navcoin.org/downloads, install and run. Login to your stakebox through ssh. After the successful release of the new website & the competition which drove nearly 5,000 actions (tweets, likes, etc), we took a step back to strategise and plan our marketing approach over the coming 6 months. How we will connect with influencers in the industry. Developing a content strategy for how & where we put out content, to reach new audiences. Optimising our existing channels (such as Facebook, Twitter) to gain as much exposure as possible. We’re putting all the pieces into place, so that going forward we have a solid plan to make the Nav Coin brand much more visible. We’ve lined up the next few pieces of content, so will be starting to create these shortly. As you may know, Craig gave a talk at the Bloktex conference in Kuala Lumpur in the weekend, and from the reports of things it went very well! He’s taking a few well deserved days off, and then will be back into the full swing of things at the end of the week. This week the development team have been focused on optimizing the new Nav Coin Core and making sure that it is providing the network stability we need to move forward. We were hoping to move onto some new projects this week but with our primary focus on the core optimization, we will be kicking off our next projects over the coming days. We have recently released v4.0.1.1 which has improved network stability. If you are using any other 4.0.x or 3.x version can you please immediately update to the latest 4.0.1.1 version and begin staking your coins to help the network. Apart from working on the core optimization, we have also been busy chipping away at a couple other objectives. Guy has been pricing up options for us to stock pre-built & pre-configured NAV branded NavPi units in our online store. So far his research has come up with some good options and we are hoping to finalize a price and order our first batch in the coming weeks. This will make earning NAV staking rewards even easier as you will be able to order the complete unit from the store. All you will need to do is plug in the power and send it some NAV to stake. One of the contacts Craig made at the Bloktex conference was with Wirex who provide cryptocurrency charged MasterCards. Wirex have shown interest in getting Nav Coin onto their debit card platform and have offered their assistance to make it happen. We have opened a dialog with Wirex who are powered by Shapeshift behind the scenes. Hopefully this leads to Nav Coin getting added to Shapeshift and subsequently to the Wirex debit card platform. We can’t guarantee an outcome at this stage but it is an avenue we are keenly pursuing. The CoPay Fork which gives us fully functional web and mobile wallets. Rebuilding the subchain to align its core with the new Nav Coin core and prepare to bring both chains into a single multi-chain wallet. Our marketing team continues to work on our overall branding and marketing strategy while preparing press releases for our upcoming features. That is all we have to report for this week. Expect a more productive week next week as our Lead Developer Craig leads the charge after returning from Kuala Lumpur. This week has been very busy for the Nav Coin team. We have made some big steps toward increasing our productivity and expanding the team. The support ticket system from last week has shown a marked improvement in efficiency of responses and our SegWit vote has entered its second voting period. Our first period of SegWit voting closed without successfully locking in SegWit. This was unsurprising given the slow start to voting due to the teething issues we experienced at the beginning of last week. Period two is now over 50% of the way to confirming SegWit lock in with plenty of time to go before it closes. The current votes are showing 97.8% YES in the last 800 blocks, making lock in during this period a near certainty. We have opened our first official office space here in Auckland, New Zealand. It is a modest start with two full time desks and a hot desk for our part time and casual staff. Largely this space is for our Auckland based Development Team to collaborate on our upcoming projects. We have hired our first full time Junior Developer Matt Paul to join Craig MacGregor as our second full time staff member. Matt’s role is to build the front end interface for NavTech Polymorph as well as provide support on projects for our senior developers; Craig, Alex & Victor. With the addition of Matt to the team, we have kicked off the NavTech Polymorph project and moved it from Pending to In Progress. You can track its overall progress on our Project Roadmap page or at a more granular level on our github page. We have moved all our Github repositories from the navcoindev account to be part of the NAVCoin organisation. This allows our devs to more easily create and collaborate on projects instead of having them run through an individual account. You can see all the things we are developing on our organisation’s page. We are diving into the Nav Pi 2.0 build this weekend with Victor hotdesking in the office to lay the foundations with Craig & Paul. More on that next week. Craig’s function in the short term will be to focus more on planning and mentoring than development as he scaffolds out the Polymorph & NavPi 2.0 projects for Matt & Victor. Once we have enough planning headroom on those projects, Craig will return his focus to rebuilding the subchain to allow for smart contracts and eventually the ADapp platform. Alex has finished an updated version of Nav Coin Core (v4.0.3) which is now available for download. The new version simply adds some extra information about the voting statistics to the SegWit data retrieved by the getblockchaininfo command. This is not a vital update and is only necessary to download if you want to monitor the SegWit vote through your own client. Guy has sourced and ordered the necessary parts to build and ship pre-built, Nav Coin branded NavPi StakeBox units. When we receive confirmation of the arrival date, we will be opening pre-orders on the Nav Coin store. We are aiming to provide these at a competitive rate and by pre-installing the software, we will make it even easier for people earn Nav Coin rewards. As you can see, the team working hard and we are setting the stage to hit the accelerator. We look forward to ramping up our progress over the coming weeks as we settle into the new office space and productivity processes. If you want to be the first to hear all the latest Nav Coin News, sign up to our mailing list! It’s been a productive week for the Nav Coin Development team as we settle into the new office space and workflow processes. SegWit has officially been accepted on the network and is pending activation at the end of the next block period. Nav Coin has also been confirmed as an upcoming addition to the UQuid cryptocurrency debit card platform. Segregated Witness has been officially locked in with the closing of our last period with the YES votes coming in at over 95%. An overwhelming victory for SegWit which only required 75% YES votes to achieve lock in and a resounding victory for the governance power of Proof of Stake coins. 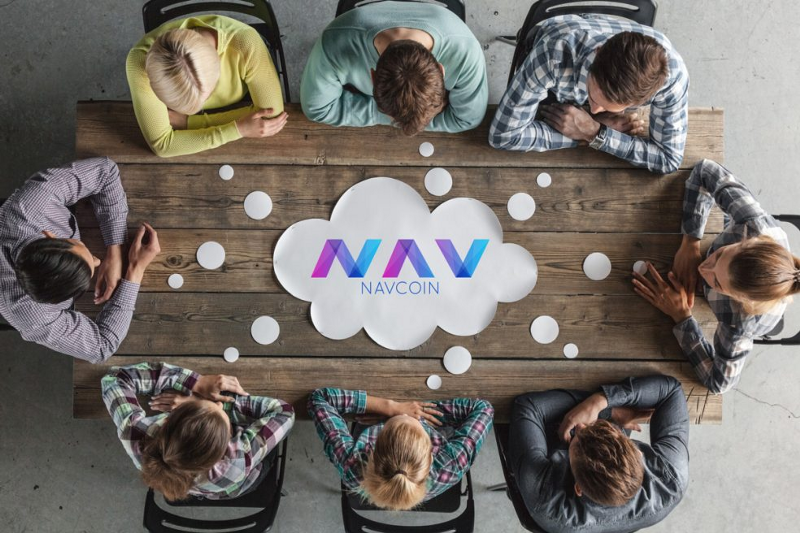 Since the votes are cast when a user mints a Proof of Stake block, the vote ends up in the hands of Nav Coin owners rather being decided by corporate mining institutions. The activation of SegWit on the network will occur when our chain reaches block 1068480 which is expected to happen approximately Sun May 21 2017 08:45:10 GMT. The team has kicked off the NavPi 2.0 project and laid out the base framework for the new version. NavPi 2.0 will be written using NodeJS and Angular2 rather than the existing Apache and PHP stack. From our preliminary testing this is going to give the NavPi much better performance and stability as well as the possibility of adding many more useful features. To keep track of this project’s progress, you can follow it or submit suggestions its github. The dev team have also made a good start on the Polymorph project, completing the first weekly sprint cycle with 21 story points achieved. Again a lot of this has been setting up the framework and choosing which technologies to use. We will be running a similar stack to the NavPi project with NodeJS and Angular2 being the main components. To keep track of this project’s progress, you can follow it or submit suggestions its github. Both these projects are following the new coding standards, unit testing, git flow and productivity workflow as laid out by our lead developer Craig MacGregor. Victor and Matt are both working to these guidelines and it should see these projects even more organized and transparent than we have previously achieved. Our fork of Copay is also progressing with Alex in the process of setting up the back end services required to support the lite wallets. He has entered the phase of refining and adapting the front end of the web and mobile wallets to be ready for deployment. This project is split across multiple repositories on the NAVCoin organisation so it is a little bit more difficult to track its progress directly. We have updated this and all our current projects to new completed percentages on the Nav Coin website. Aside from making great progress on our two active projects, Nav Coin has also been officially announced as an upcoming addition to the Uquid cryptocurrency debit card platform. Uquid is a debit card platform which allows you to spend any one of 35+ digital currencies as if they were GBP, USD or EUR on any terminal or service which accepts Visa. Nav Coin is a welcomed addition to their offering and we look forward to bringing you another great way to conveniently spend your NAV. The shipment of Raspberry Pi’s for our pre-built NavPi’s to be sold on the Nav Coin Store have left their shipping dock. We are hoping to open these up for pre-order as soon as they land. Keep an eye on the store for updates to stock. We have added wildcard SSL certificates to the Nav Coin websites alongside upgrading the web server to a new host. The SSL certificate is now valid on the main website and the forum. It will also be available on the store, wiki and paperwallet subdomains as we migrate them across to the new host. As always, a lot of progress from the team and things are really starting to speed up with the addition of our extra development resource. We look forward to the results of this continued momentum and the activation of Segregated Witness this week. It seems we repeat this sentence in almost every weekly update lately, but; it’s been another huge week for Nav Coin. We have successfully activated Segregated Witness on our blockchain, we broke through our previous all time high on the markets and we’ve been making good progress on our top development projects. Segregated Witness was activated on the Nav Coin blockchain at approximately 3:00AM GMT on Sunday 21 May 2017 after the mandatory 1 week lock in phase. The activation has gone smoothly, SegWit addresses have been created and sent coins. We are currently working on a wallet update which will make it easier for users send SegWit transactions as currently it is largely handled only in the command line interface. While users will soon be able to easily send SegWit transactions, the real power will become apparent as we build and run smart contracts on the Nav Coin blockchain in the future. 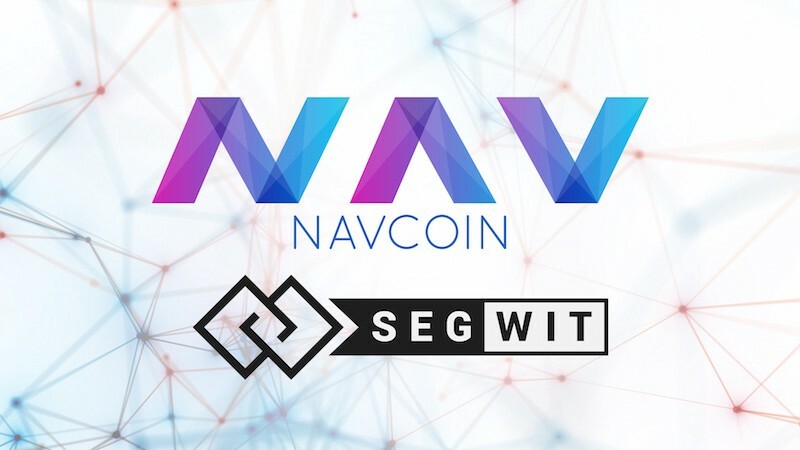 The activation of SegWit has seen a lot of activity on the Nav Coin markets with NAV’s market cap reaching $28M USD, a price of $0.46 USD per coin. Frustrations were felt by some users as our highest volume exchange Poloniex had their NAV wallets in maintenance mode over the lead up to SegWit activation, preventing deposits and withdrawals. We have attempted to clarify the reason, but at time the time of this publication we have not received a response from Poloniex on the matter. I can now confirm that the NAV wallet is out of maintenance mode and is again open for deposits and withdrawals. The dev team is making good progress on the first stage of the Polymorph project in the Auckland office. If you’ve been following the #development channel in slack or our github you will have seen their daily progress on the project as commits and pull requests fire off. They have closed Sprint 2 with 20 points achieved compared to 21 points in Sprint 1. Showing that their pointing of stories and pace of work has been consistent thus far which suggests this method of working will provide to be a good measure for completion times for future features. We have also received a lot of interest from open source developers interested in contributing to Nav Coin or building surrounding platform tools and services. This is a great sign for the future of Nav Coin’s software ecosystem and we encourage all developers who would like to get involved in our project to join us on slack and talk with the team. The SD Cards for the branded NavPi’s have arrived to Auckland and Guy has been busy trying to source the best shipping rates and packaging for the units. We are still waiting on the actual boards and cases to arrive and will open pre-orders as soon as we have all the parts on the ground. Our marketing team have been testing some Facebook ad buys over the last week which are proving to have cost effective results. For a relatively small expense we have increased the reach of our Facebook posts by about 3000%. This plays into the wider strategy the team is building to get the Nav Coin brand to be a household name. The Nav Coin Team has been hard at work this week, making progress on our major projects as well as onboarding new engineers. Behind the scenes the marketing team have been working on some great tools which will be added to the website soon. Polymorph has entered its 4th sprint cycle with the main user interface built. We are now progressing to work on the changelly and block chain integrations which will enable the private sending of the top 35+ cryptocurrencies through our dual blockchain based private payment system. Last sprint we completed 37 points which is a new record for the team. Lots of great work done and the project is really picking up speed. NavTech 1.2 has started in full, with Alex and Craig focusing on the adding the new functionality to both the core wallet and the NavTech source itself. We are adding some interesting features to obscure metadata analysis of private payments; time delay, value rounding, multiple addresses and more. We are hoping to bundle this release with some important segwit updates for release as soon as practical. The current sprint will be the main development sprint, followed by a sprint of testing, peer review and bug fixing. We are aiming to release NavTech 1.2 and Nav Coin Core v4.0.4 at the end of following sprint once the testing is completed. After a flurry of wallet updates, we are trying to slow down rate of our wallet releases and make sure we make the effort to upgrade worthwhile and our releases thoroughly peer reviewed. We have also had 3 Software Engineers from our community offer to assist on our projects. With the Auckland based team focusing on Polymorph, NavPi and NavTech, they will be joining Alex to work on the Core wallet and Copay Wallets. Expanding our Engineering Team will enable us to deliver an even higher standard of software than previously possible. We have begun implementing team wide peer review of all code committed to Nav Coin Core and NavTech. This is to both begin to educate new team members on our core products as well as providing more eyes on the source code to help find bugs and optimize our code base. Nav Coin is in essence a community project, our team has been ever evolving as new people become involved and old members fade away. With these latest additions, we have taken some time to restructure the Nav Coin Team section to more accurately display who is currently active on the project with the inactive team members relegated to the Legacy Team section. 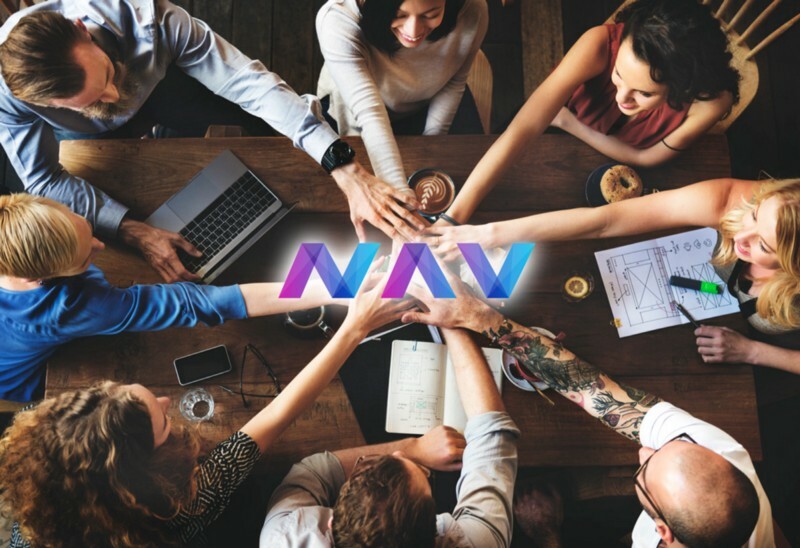 We currently have the strongest development and strategy teams in the history of Nav Coin and we are all looking forward to taking the project to its natural next level. The Strategy Team has been working on a detailed FAQ to add to the Nav Coin Website. This not only will be of great help to newcomers to the coin, but will of course also be a great resource for search engine listings. Our facebook posts continue to get a higher level of interaction as we refine our advertising strategy and continue to look at how we can extend our social reach. We have also been reaching out to charities who work on at-risk causes which could benefit from private donations to see if we can help them integrate NavTech payments to their systems. We are persistent in our goal to prove that private payments can and should be used for socially beneficial purposes. All projects have been updated on the roadmap. Talk soon, Nav Coin Team. Nav Coin has been added to the UQuid cryptocurrency debit card platform. You are now able to load your UQuid debit card with NAV which gets converted into USD, EUR or GBP. They have a range of options including physical or digital cards. UQuid requires no identification on sign up, so you can spend your private NAV privately. Check out their service and get a card so you can spend you NAV in any store that accepts Visa. This week the team has made great progress on NavTech 1.2 with the goal of releasing the new version next week well within reach. Polymorph continues to gather momentum as begin on the more challenging back end work. The planning of the interrelated subchain platform, multi-chain wallet and navtech 2.0 is well underway. Adding encrypted data to all NAV transactions to make it impossible to tell which are private or which are regular sends. The new Nav Coin Core will split NavTech transactions in the wallet before sending them through NavTech in a random number of fragments. The transaction fragments will be joined back together inside NavTech, then split into factors of 10 to create lots of identical transactions on the network. We have also added a small time delay which will scatter the transactions across multiple blocks as they are output from NavTech. All of this will greatly will improve NavTech’s defence against blockchain based metadata inference. Beyond this, we are also going to implement dummy SUB and NAV transactions between the servers to create additional blockchain traffic to obscure transactions when the system is under lower volumes. The dummy transactions will be implemented in a back end only update to NavTech after the new Nav Coin Core and NavTech 1.2 has been released. Sprint 4 of Polymorph closed with 16 story points achieved, matching our average velocity. We have built the first integration with Changelly.com’s API and have successfully plugged their list of exchangeable coins into Polymorph’s front end. Sprint 5 will be largely focused on validating the user input data and retrieving expected transaction times and fees to display. We will also be attempting to gain some ground on the planning tasks so we can queue up the next few weeks worth of work. Craig is preparing to make a trip to Germany to work in person with Alex on the Subchain Platform, Multi-chain Wallet and NavTech 2.0 whitepapers. All three of these projects are interrelated and need to be planned in parallel. They have been making good progress while working together half a world apart with a lot of the core concepts understood. But the time has come to sit down in person and really figure out how all the nuts and bolts are going to fit together. Craig flies out next Friday and will be spending the better part of 2 weeks in Berlin refining these projects with Alex. We hope to have more news about these three big projects of ours after this planning session has taken place. We have so far received the SD Cards and cases for the NavPi’s, but the actual Raspberry Pi boards are still stuck in New Zealand Customs unfortunately. We are hopeful that they will come through in the next couple of days, we have filled in all the appropriate paperwork and are awaiting their release. They will be available for pre-order when get the units in the door. The Forum, Paper Wallet and Nav Coin Store have all been moved to the new web host and we hope you have all noticed the improvement in service on all of these sites. The current nav coin wiki has been defaced by a user who decided to edit all of our articles. So, we are installing a fresh wiki on to the new web host and we will unfortunately have to lock it down to approved editors only. We were hoping that it could remain open so that any community member could contribute, but it looks like we are unable to proceed in this spirit. If you’re interested in being an editor for our new wiki, please contact someone on the team. All projects progress on the Nav Coin Project Roadmap has been appropriately updated. The Nav Coin Team continues to make steady progress on the feature projects of our 2017 roadmap. Navtech 1.2 is in its final testing stages as we integrate and test the Nav Coin Core update alongside the Navtech processing scripts. 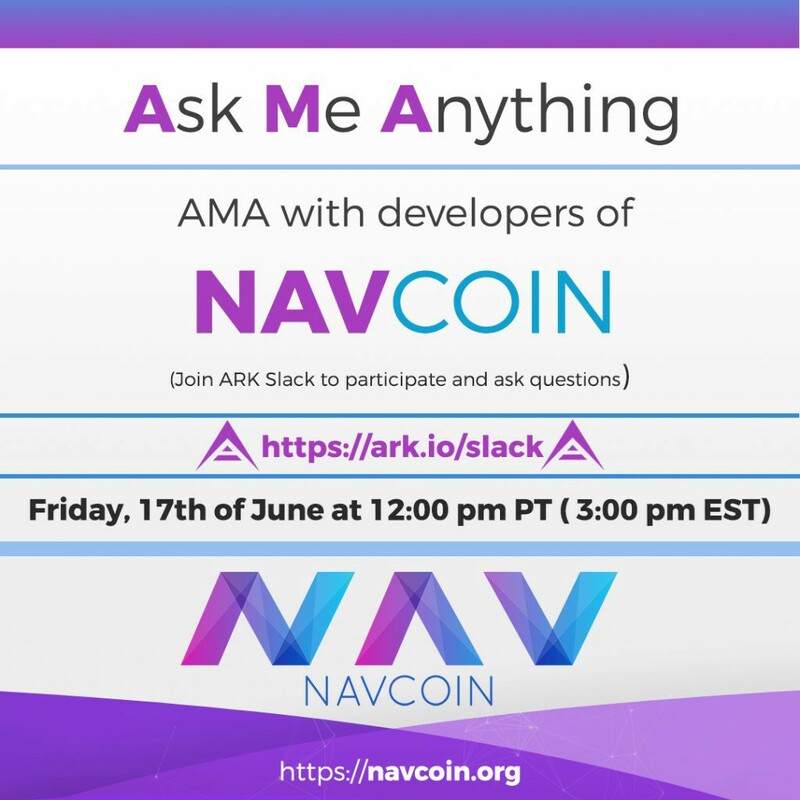 And the Nav Coin Team has been invited to do an AMA on the Ark.io Slack channel. We have been hard at work building extra obfuscation layers into NavTech and the Nav Coin Core wallet over the last two weeks. The development is now complete and the project has over 95% unit test coverage. 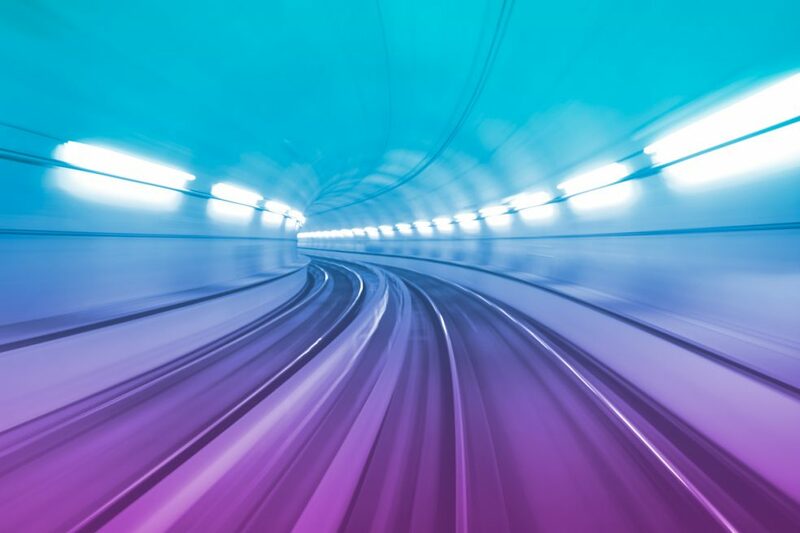 We have deployed the scripts and new core to the NavTech servers for live testing to iron out any remaining integration issues between the two parts and to rigorously test them in the live environment. We are aiming to release the new wallet and re-open NavTech transactions before our Lead Developer Craig MacGregor leaves for Europe this Friday. There have been substantial changes to the code base with this new release however, and we will not release the new product until we are confident it is bulletproof. Keep an eye on our social channels for the official release date and time. Sprint 5 for Polymorph has gone well with some major parts of the Changelly integration now built. We have extended sprint 5 until the end of the week to give some extra time on refining what has been completed this sprint. Craig and Matt also go into planning mode for the next couple of days to make sure Matt has everything he needs to continue working on Polymorph in Craig’s absence. The Auckland team got together today to discuss the future of Nav Coin and learn a bit more about the Research and Development that has been done for our Anon Dapp Platform, Multichain Wallet and NavTech 2.0 projects. We all now have a good understanding of where we are taking projects and how to proceed. 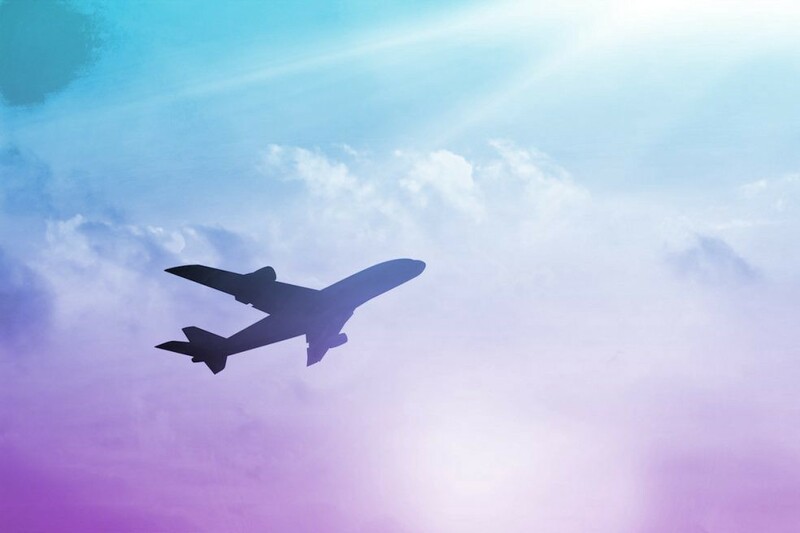 While Craig is in Europe with Alex, they will be laying out the technical framework of these projects and defining each one’s features to be written up into Whitepapers and presented back to the team and then to the public. The NavPi boards have finally arrived, so we have all the parts we need to start to put this product together for sale. We will be training Guy on how to assemble the units, flash the SD cards with the NavPi image, test and prepare these for shipping. With Craig going to Europe for two weeks, we may not get the training completed until he gets back, but we are looking at opening pre-orders for the device on the store before then. The marketing team have been busy creating some great new content for the website. They have just finished putting together the “Getting Started” and “FAQ” pages which are now live. We are looking to build up more useful content to help new users get educated on and interested in Nav Coin. This is a great addition to the site. We look forward to creating more interesting and useful content for our potential new users. Our team has been invited to be the subject of an AMA on the Ark Platform’s Slack Channel. We are excited to discuss Nav Coin, NavTech, Financial Privacy and Cryptocurrencies in general with their community. We are dedicated to create collaboration rather than division between cryptocurrency projects and are grateful for the opportunity to share some knowledge with people who are wanting to learn. If you haven’t checked out the Ark Platform, make sure you do, its an interesting project. That’s about all we have for this week. We look forward to the upcoming release of NavTech 1.2 and more information about our feature projects over the next couple of weeks as the planning sessions roll out. This week the dev team have been busy refining the latest version of our private payment processor NavTech. Polymorph enters its next phase of development with transaction being created with our exchange partner Changelly. Our Digital Strategy team are working on a content series of articles, infographics and videos. And the details of our ADapp platform are just around the corner. NavTech 1.2 is still in its refinement phase as the dev team work towards deploying a stable release as soon as practical. With our Chief Engineer Craig MacGregor travelling to Europe to work with Alex, progress has been a little slower expected. We are confident that the code base is close to its final form, with only minor adjustments needing to be made so far. We will announce the release date as soon as we are able to set it. Polymorph has moved into its next phase of development as we are now working on creating the exchange transactions with Changelly and processing the private payments. This is the main section of work for this project, so it’s exciting to get started on it. If you’ve been following our development channel on slack you will see all the work we are doing on a daily basis for these projects. Our Digital Strategy team are planning and creating a series of content including articles, infographics and video content. We are please to begin generating more resources for people to use to learn about Nav Coin and why it is so great. We have also been talking to two more Digital Content Creators who we are looking to onboard to the Digital Strategy team. Over the next few weeks as these team members start to come into play to help Kieren with his wider strategy, we should see the rate of content creation start to ramp up and by proxy Nav Coin’s exposure. That’s all we have to report this week, we hope to have more to report next week once Alex & Craig have finished NavTech and documented what we are going to include in our ADapp platform. This week we have focused on the planning meetings in Berlin about our upcoming ADapp platform. We have also been making progress on the Polymorph project and sent our first successful private payments with the NavTech 1.2 updated software. During the planning meetings, we have successfully defined most of the ADapp platform and how it will work. When our Chief Engineer Craig gets back on to New Zealand he will begin working on the first whitepaper for the platform and have it peer reviewed before releasing it to the public. Our goal with the platform is to unlock the benefits of blockchain technology in a way that does not require a steep learning curve for developers while also providing advanced privacy to both developers and app users. We will be releasing more information about the platform once the whitepaper is written and reviewed. With Craig in Berlin the team in Auckland team have continued to make progress on the Polymorph project. The system is now generating return addresses and creating exchange orders with the Changelly platform. Several features are ready for review and we will have more to report on this next week when Craig arrives back in Auckland and reviews the teams work. NavTech 1.2 has had its first successful private payments sent through the new system. All tests so far are looking great. We are going to subject the new system to extensive testing over the next week to confirm that all the parts are working correctly and that any failures are handled in the correct way. We will have more information about the release date once the testing has been completed. Because we have been focusing on the ADapp plans, this is all we have to report this week. We hope to make more progress before the next weekly update. This week has been busy as always at Nav Coin HQ. There’s been lots of work for our Chief Engineer Craig MacGregor to review since he’s returned from the planning week in Berlin. We’ve started to collate the draft documentation from the planning meetings, continued our NavTech 1.2 testing and also added some new team members into the mix. Polymorph continues onto its 7th development sprint with the Order Creation now ready for review. This marks one of the major milestones for the project and is the completion of the first stage of how we will send each of the Changelly exchangeable cryptocurrencies through our NavTech private payment platform. With Craig back in the office the development pace should resume to its previous level as we have 15 story points scheduled to be completed this sprint. The documentation which was written during the planning meetings in Berlin has been digitized and shared amongst the team. The Auckland team is having a meeting tonight to run the wider team through the plans initiated by Craig & Alex, to both get them up to speed and get their input. These projects are not simple or small by any means, so it’s still going to be some weeks before we have the draft white papers ready for public consumption. We are taking our time to talk to industry experts in economics, marketing, cryptography etc to make sure that what we present is feasible, worthwhile and meaningful to the community. With everything that has been going on the final testing of NavTech 1.2 and the new 4.0.4 version of the wallet has taken a bit of a back seat and we do apologise for the delay of their release. We are committed to getting the new wallet distributed and NavTech payments resumed within the next week. All the testing so far is looking good, we just need to find some time within the team to run a suite of stress testing on the system and make sure that it operates as expected under maximum load. Once the team is happy that it’s all working as intended, we will begin some wider testing with a segment of the community and also get our NavTech server operators up to date with the latest versions. This is run and funded by the community, so please donate to help out, or message our marketing team if you would like to get involved. Guy has had his first training session on how to build and test the NavPi’s in preparation for opening orders on the store. Before we open orders, we will be upgrading the Nav Coin Core version, adding some extra security features and releasing a new version of the NavPi image. Expect the NavPi to start shipping in the next couple of weeks. This week we are also onboarding two new casual members for the marketing team — both of which are highly experienced and will bring a lot of skill to the team. One is a digital marketer/strategist and the other a web designer. Both of them reached out to help because they believe in the potential for Nav, and want to do what they can to help our cause. More details on these two new members will be released as we go through their induction process and figure out where they fit into the puzzle. We have been in contact with Wirex who are working with Changelly to integrate their products. We’ve been informed that their integration project is underway, which means Nav Coin’s addition to the Wirex Card is just around the corner. There is no release date set yet, but you can order one of their cards to prepare for this event. Craig has also been in contact with various organisations of interest since his return from Berlin including Stokens VC Funding, Generator Capital and ICOpromo who are interested to act as advisors or collaborators on our upcoming ADapp platform. The Nav Coin team have been hard at work this week completing their in house testing of NavTech 1.2 and the new Nav Coin 4.0.4 Core Wallet. The Polymorph team have closed out another sprint successfully completing four stories. We’ve resumed work on our fork of the CoPay Web & Mobile wallets. We’ve added 2 new team members to the Digital Strategy team and also had a productive Digital Strategy meeting to help shape Nav Coin’s immediate marketing direction. NavTech 1.2 and the Nav Coin 4.0.4 Core Wallet have both passed in house testing with flying colours. With a pool size of 50,000 NAV, the server was able to accept 100,000 NAV queue the transactions and correctly process them without failure. We now move onto a private beta test with the wider team and some of our senior community members. The 4.0.4 wallet has been distributed to the beta test group today and we will kick into the first round of this group’s test schedule tomorrow. The new NavTech system is quite a lot more complex than 1.1 with the splitting and joining of transactions, rounding transactions to factors of 10 as well as scattering them vertically through time. We are also adding encrypted data to the anon-destination field of all standard transactions from this version forward. We hope all this increases the difficulty of performing blockchain meta analysis to try to infer which transactions coming out of NavTech relate to transactions going in. Polymorph continues to track well with the order creation being finished this sprint as well as the deposit page which you arrive at after creating your order. We have also completed some technical tasks this sprint including adding HTTPS to the server and implementing a logging class to capture any errors which occur when creating or processing orders. We’ve had some successful Digital Strategy meetings this week with the wider team and also used them as an induction platform for our two new Digital Strategists Josh and Laura. Josh Drummond has had a raft of experience in the corporate marketing space, specialising in copywriting and illustration. He has a keen interest in cryptocurrencies and has just come from a Marketing Manager role with the largest telecom company in New Zealand. He has helped create and curate engaging content for many of New Zealand’s leading brands and will be a great asset to the team. Laura-Ellen Harris comes from a photography and graphic design background specialising in visual & written communications. She has a wealth of experience in branding, digital content creation and event photography. Her visual skills and eye for detail will make her an integral part of our Digital Strategy team’s upcoming campaigns. To accommodate the growing team we’ve moved Nav Coin HQ from its current location to a shared office space in the tech startup district of downtown Auckland. So far it is going well there and we’ve been connecting with some other people in the fintech space. We hope that it will be both productive for our team and also provide great networking opportunities. 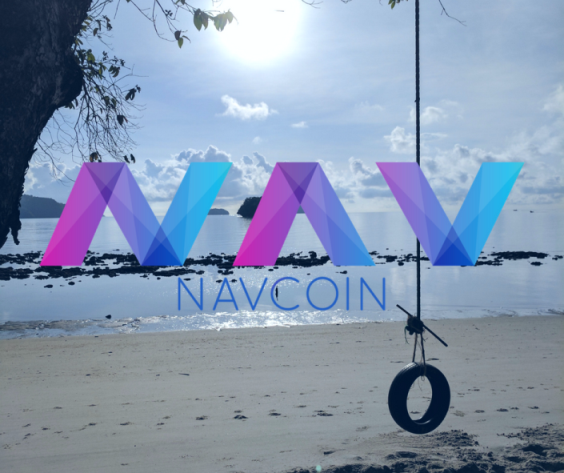 The banner competition is off to a great start and has raised more than 3,800 NAV from the community, which will go a long way in providing awareness for the Nav Coin brand. We’ve received a number of great designs, and have decided to extend the competition another week (until Wed 19th July) to get as many people involved as possible. Check out our the bitcointalk forum for more information on how to get involved and be in to win part of a bounty pool of 700 NAV if your banners get chosen. Our marketing team has begun updating the website — which will be an ongoing process to improve the performance of the website. We are updating our content to be more user friendly & easily understandable, and implementing an email strategy that will guide new users to learn about Nav Coin and become part of the Nav Coin community. This week marks the culmination of months of work for the Nav Coin Team. We have finalized version 4.0.4 of the Nav Coin Core Client and version 1.0.1 of the NavPi software. Our Marketing team has drawn the winners of the Banner Competition. We have shipped our first pre-built NavPi units to our customers and we’re still making gains on our other projects. Nav Coin Core Version 4.0.4 is now available from the downloads page of the Nav Coin website. This is an important update which includes all the updates necessary to be compatible with NavTech 1.2. Updating to this version is mandatory due to the major changes to how NavTech works, version 4.0.3 and older will not be able to send NavTech transactions through our Private Payment Platform when it’s relaunched next week. We have added encrypted data to every transaction which is sent making them indistinguishable from NavTech private payments. We have also made some UI improvements, added fiat calculations into the sending screen, made some fixes to the blockchain syncing and staking methods which should see a more stable sync for everyone. We urge everyone to undertake these steps, we have to ship the device with default settings like passwords so you are able to access them. With crypto hacks becoming more prevalent, leaving the published default settings on the device it makes it an easy target for hackers. You should always encrypt your wallet, lock the device to the IP address of your computer, change the linux password and regenerate the SSL keys for a secure connection. The image is available for direct download from mega.nz and will be up as a torrent in the next few days. We have begun shipping the pre-built NavPi units this week with the first batch in the post today. The response to the launch of the NavPi has been amazing, we have already sold nearly three quarters of our store stock. We are aiming get through the backlog of orders over the next few days. You will receive an order update email when your item has been shipped. So hold tight and rest assured that they are one the way. But we are open to other languages as well. We are offering a small bounty for anyone who takes part, so contact us at [email protected] if you would like to help out. The Development team are making great progress on the NavPay wallet and are working towards getting the software to build as mobile applications. We will have more to report on this next week as we edge towards a release candidate version. We have had some issues with our Electrum server being out of service this week which interrupted the connection of the Nav Coin Android Wallet. This issue is now resolved and anyone using the Nav Coin Android app should have their service resumed. The Nav Coin Android Wallet is a legacy piece of software and is no longer strictly supported by us. We advise anyone using it to switch over to the Coinomi wallet until we release our NavPi wallet suite in the near future. We have been busy this week building our first batch of NavPi and shipping them to their proud new owners. 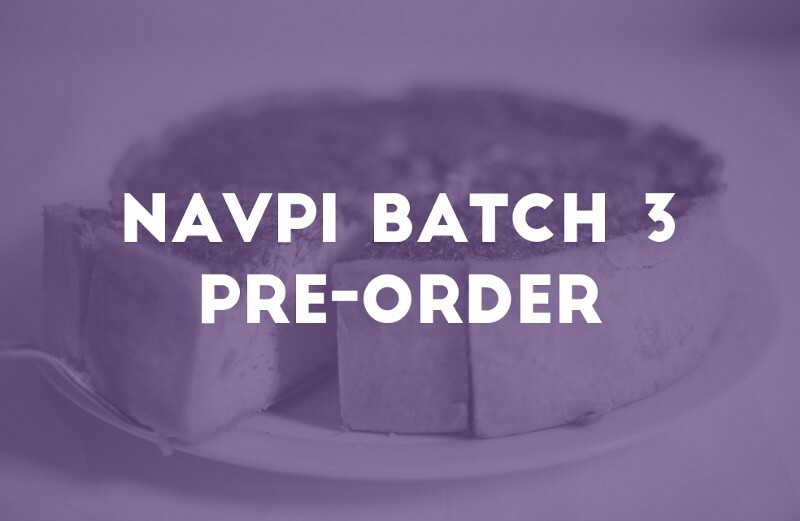 We are pleased to announce that NavPi Batch 2 is ready for release. Development continues on NavPay. The digital strategy team have been hard at work with upcoming banner campaign, tightening up our visual communications and coordinating the translation bounties. The response to the NavPi has been amazing with our first batch of 50 units selling out within 7 days of being launched on the store. We have been working hard this week to build and ship the devices and have shipped over half of the first batch. We are on target to get the first batch fully processed by the end of this week. Keep an eye on your email so you know when your unit is in the post. We have sourced a local supplier for all the parts we need to build these at a competitive rate, so we are able to immediately launch a second batch without the need to wait for parts to be imported. We have opened up the second batch of 50 NavPi on the store tonight. If you missed out last time, make sure you get in quickly before they sell out again. I would like to remind everyone that Nav Coin uses a Proof of Stake consensus algorithm, meaning your rewards are based on your NAV balance, not your hashing power. There should be no real need for anyone to order more than 1 NavPi unless you’re planning on setting up multiple simply to spread your risk or to give away to a friend. If you’re unsure if you need more than 1 NavPi, jump on any of our social channels and talk to our community members. The development team has been working on the release candidate version of the NavPay. We are pretty close to having a beta client ready for a test group. 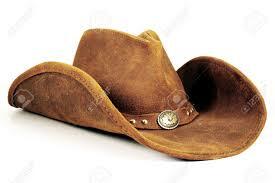 Most of the issues which remain are cosmetic or platform specific compiling and dependency issues. We invite you to follow the project’s progress as we tick off the remaining issues and prepare the release candidate for beta testing. We have been in contact with the winners of the community banner competition, received most of the completed banners, and sent them their the prize money. So we are now in the process of setting up the Google Adwords account, finalising the details for how we will run the campaign, and how to transfer the funds into Adwords. While our team has a number of years experience managing Adwords campaigns, we still welcome your thoughts on the matter, as it is a community-led initiative. We have received help from a number of community members, and started translating the content on the website so that we can attract a wider international audience. So get in touch with [email protected] if you are able to help out. Setting up our email platform. The goal of this is to start capturing more email addresses, and use these to nurture new users into becoming Nav Coin enthusiasts. Part of this is sending new users helpful content that will explain what Nav Coin is, how to get set up, and how to get involved in the community. We’ll make sure to update the community when these projects are completed. This week we’ve seen a lot of interest in Nav Coin with thousands of new members joining our community channels. We are opening sign up for the Nav Pay Public Beta and our Digital Strategy team are shaping the next wave of content to be released. The Development Team have continued work on two of our most anticipated projects; NavPay Mobile and Polymorph. 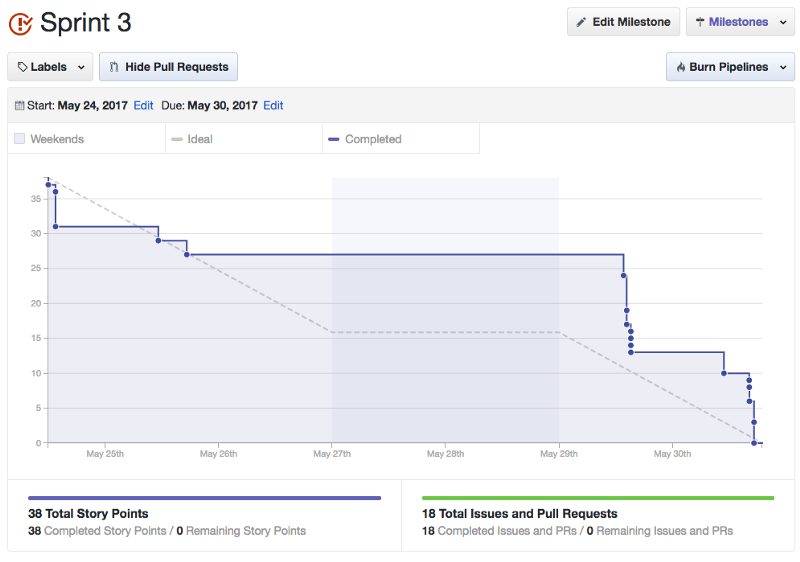 Polymorph has closed out another sprint completing 3 more user stories. There is still some work to be done before we can release the Beta Version of NavPay, however we have opened sign up for the NavPay Public Beta. 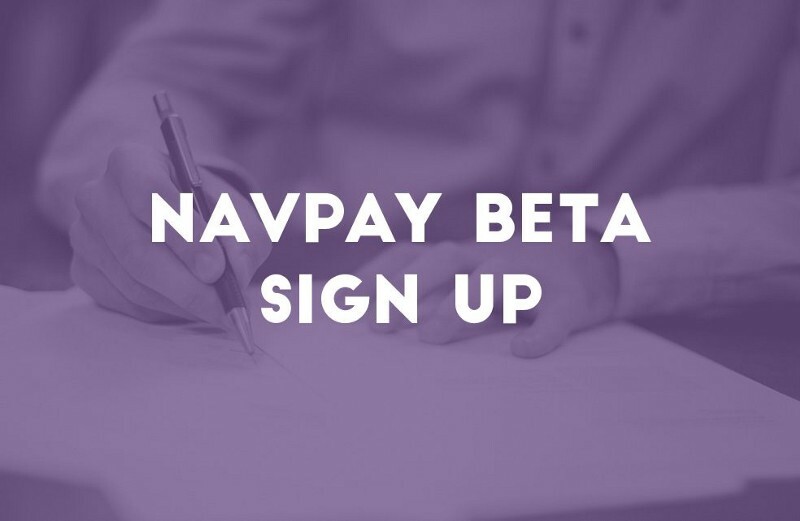 The NavPay beta will run in two parts, firstly a closed beta with a smaller test group from the Nav Coin community, followed by the public beta involving everyone who signs up. The version we release to the public beta should be a release candidate version with very few bugs or improvements necessary. The NavPay Beta will include NavTech Private Payments, making NavPay the world’s first mobile wallet to support anonymous transactions. We’ve been monitoring our banners in the Adwords account and been very impressed at how they are performing. We’ve had 183,758 impressions and 1,951 clicks to the website, which gives us a Click Through Rate of 1.06%. When compared to the industry average, which has CTR’s typically between 0.1%-0.5%, this is considered very good. Last Saturday, the marketing team got together to complete a workshop on strategy & branding. The aim of this was to develop a more strategic view of the Nav Coin brand, which will assist us with our day-to-day marketing & the upcoming product releases. The workshop was a huge success, largely due to being assisted by a branding expert who has lead brand strategy for a number of years in large international marketing agencies such as Ogilvy & Mather, and Colenso BBDO. Following the successful release of our article on NavTech, we’ve started drafting up our next article. 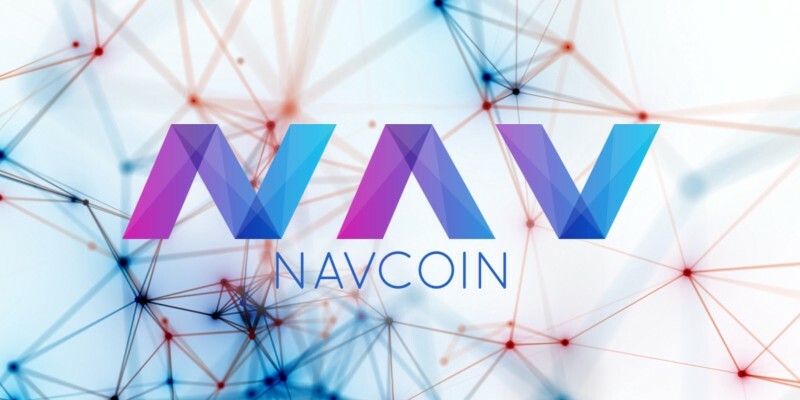 The aim of this article is to reach a broad crypto audience that might not have heard of Nav Coin before, which should help to grow the community even more. More information on this will be released in the coming weeks. As we’re sure you’ve realised by now, we’ve seen a huge growth in the community numbers in the previous week. We apologise if we’ve been slow in replying to your emails & messages as we’ve had significantly more to get through, and would like to send a huge thank you to all the community members that have stood up and taken a more active role in welcoming the new members. It’s been much appreciated by the team! As an example of our growth, last week we thought that getting to 900 Reddit subscribers was a huge achievement, but we have more than doubled this (to 2,224 subscribers) in the week since. A side effect of this growth has been that we’ve received lots of feedback, and opportunities for partnerships & marketing, so we will make the most of these to help continue this growth we are seeing. 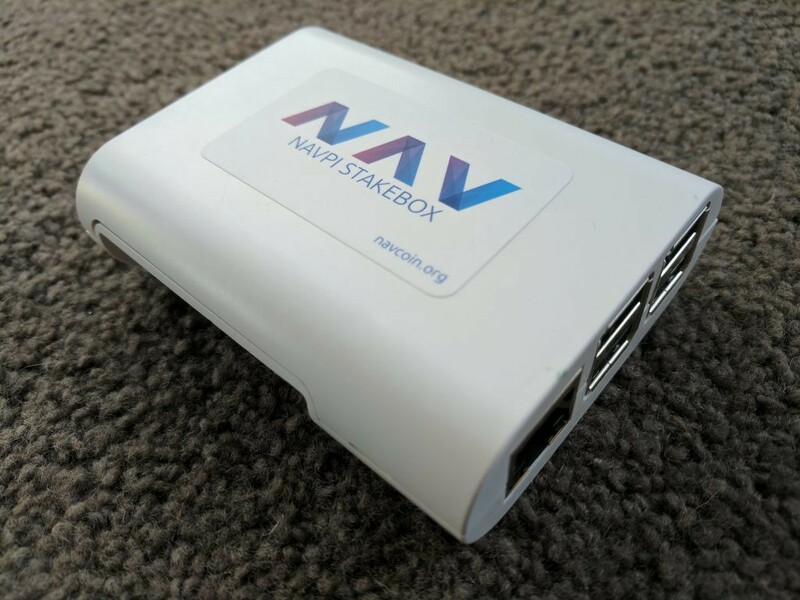 This week we are opening pre-orders for Batch 3 of the NavPi StakeBox and have released a minor update to the Nav Coin Core wallet. We are also working towards full translations of our website in Spanish & Chinese. We have received confirmation of our parts order for the batch 3 of the NavPi StakeBox. This order will be for 100 units with 3 case variations (Black, White & Transparent). All will include a 16GB Class 10 Micro SD Card with the NavPi software installed and tested by our team here in Auckland. Shipping from the supplier and customs clearance will take around 10 days so we expect to begin shipping this batch in about two weeks time. Please note that Nav Coin uses a Proof of Stake consensus algorithm, which means your mining rewards are based on your NAV balance, not your computing power. It is usually not necessary to order more than 1 NavPi per person, so we’ve restricted sales to 1 per customer. If you require more than 1 NavPi please contact our support or talk to us on one of our community channels and we can assist you with bulk ordering. If you want to secure your NavPi, please go the Nav Coin Store and place your order now. We are continuing to work on both our NavPay Mobile Wallet and the Polymorph Project. If you follow our GitHub account you will see the progress we are making shown against each code repository. NavPay is currently under internal review while we iron out the last remaining issues with its private payments and Polymorph has closed 3 more user stories this week. The translations of our home page have been a great success in our international communities. Our biggest non-english speaking community is currently Español. We have begun work on a translation of our entire website and whitepapers into Spanish and Chinese to cater to these growing markets. Our Adwords banners are still running strong — so far they’ve attracted more than 5,054 people to the Nav Coin website, and appeared 368,345 times on various crypto-related websites. We’ve start optimising the placement of the banners, to ensure they appear in the places that they perform best — so hopefully we should see an increase in click through rate. That’s all we have to share this week. 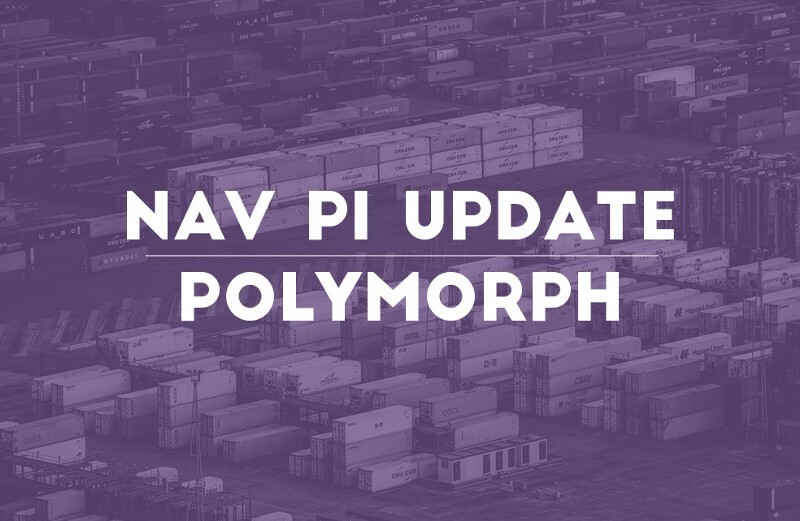 This week we have received some of the parts for the next batch of Nav Pi, made lots of progress on the Polymorph project and had an NZD pair added on the exchange. The Nav Pi Batch 3 Cases & SD Cards have arrived in Auckland and the Raspberry Pi Boards are with freight forwarding in China and about to start their journey to New Zealand. Our supplier has advised that the boards should arrive by early next week meaning we should be able to begin shipping next week also. Pre-Orders for the Nav Pi Batch 3 have been off to a strong start with 40 out of 100 units sold within the last week. If you want to pre-order yours, pop along to the Nav Coin Store and pick one up. You can even purchase one with Nav Coin & other Cryptocurrencies. There are 3 colours to choose from (black, white & transparent). All units come with the latest version of the NavPi software pre-installed on it. As well as being an easy way to earn Proof of Stake rewards with your Nav Coins, these perform a valuable service to our network by providing additional full nodes sharing the blockchain and validating transactions. There has been lots of progress on the Polymorph project this week closing off 5 major stories which conclude the bulk of the front end functionality. With the front end now largely built, we are now working on minor refinements and improvements while we start to plan the next steps of the project. From here, we will begin work on the scripts that run on the server side to process the converted NAV after being sent from Changelly and create the NavTech transaction to push the value through the Subchain. Along with the Polymorph scripts themselves, we are required to build new functionality into NavTech & NavCoin Core and the Subchain to make these transactions possible. You will start to see polymorph related issues being raised on each of these repositories as we scaffold out the work that needs to be done. To keep an eye on this project and follow our progress, you can watch the GitHub stream channel on our Slack, or follow it on GitHub directly. Cryptopia have added a NAV/NZDT pair on their exchange. This comes as welcome news to all New Zealanders who are interested in Nav Coin. It’s an important pairing as most of the Nav Coin team operate out of Auckland. This brings access to NAV directly to the team’s local community. Cryptopia allows NZD to be bank transferred to their accounts and credited as NZDT on the exchange. Users can then directly purchase NAV with NZDT from the exchange without having to first convert to USD or BTC. The trade volume is just starting out but it is something we’re looking to foster in our local community. We have been experiencing some issues with the NavPay wallet not being able to correctly generate scriptSig of the input to transactions we are creating from the wallet. It’s a been a complicated task to debug this issue and start to track down the cause. There are about 6 different code repositories which work together to make the CoPay wallet work so we are doing our best to figure out why this has stopped working as it was previously sending transactions without issue. Until we can get the scriptSig generating correctly, we are unfortunately unable to begin the beta test for the NavPay wallet with NavTech Private Payments. It is a top priority for us to keep this project moving forward and we will keep you updated with our progress and informed about when the beta will begin. If you want to sign up to the beta test, please join our mailing list. The community have been working towards publishing a page for Nav Coin on Wikipedia. The draft has been written and has been submitted for approval. The community has done a great job writing this article and pulling together all the sources necessary to get the submission approved. Our marketing team has to look at what they can add to the page or how they can improve the content the community has written.